During his college years in Missoula, Bill McDorman was attempting to start his own garden when he learned that locally adapted seeds had basically disappeared from the area. Digging deeper, he discovered a worldwide trend toward consolidation of seed and food crops into “one-size-fits-all” companies, who didn’t offer the niche varieties specific to Missoula’s high-altitude and cold climate. Bill, a Ketchum native, became determined to work on increasing seed diversity and finding seeds adapted for his area. This quest led him on a life-long journey of seed saving, exploration and education. In 2004, he teamed up with Belle Starr, a passionate gardener and environmentalist, in work and in life. 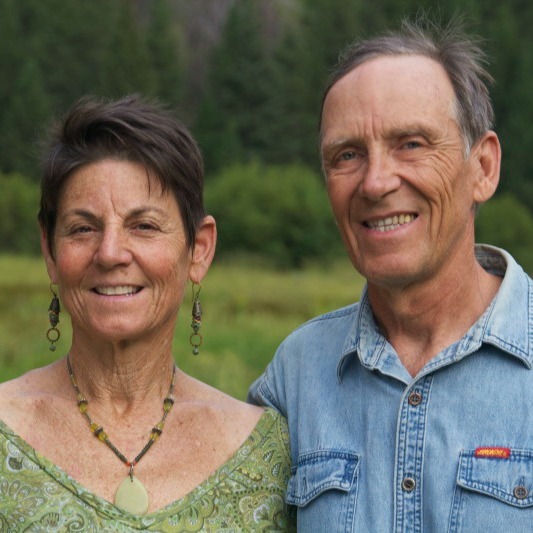 A decade later, they helped found Rocky Mountain Seed Alliance, a non-profit dedicated to creating connecting communities throughout the Rocky Mountain West with the seeds that sustain them. Seed saving is the act of harvesting seed from various food or native plant crops to replant and reproduce that variety. Why should we save seeds? It just isn’t that hard. Sadly we have been taught we can’t save seeds. The industry is set up to sell us seeds every year with the idea they expire (they don’t!) and that we should leave it to the “experts.” It has only been a few generations since our connection to this ancient ritual was severed. Back in the day, everyone saved their own seeds. It was part and parcel of who we were. Seed saving was actually part of what built this country. At the turn of the last century, our government actually gave away over 2 billion packets of seeds that were specific to regions to encourage seed saving and help make each area agriculturally self-sufficient. It wasn’t until the 1970s that the genetics in plants began to be patented and all life was up for grabs. It is a fascinating story still being played out today on the world’s stage. Seeds that are owned and patented are being sold for profit to communities everywhere by large agribusinesses. The erosion of cultural traditions wrapped around rituals specific to seasons, cycles and seeds is epidemic. There are many organizations (including Rocky Mountain Seed Alliance) and people all over the planet working toward healing this schism and helping us take back control of our seeds. You have built a life around seed saving. Why? We can’t think of anything more important than this issue. Eating is essential to human life. We all have to do it to survive! Think about regions around the world that are famous for their food. There are reasons for that. The food comes from regionally adapted seed interfacing with all the elements to bring about a very specific taste and identity. We just came back from Wisconsin, where we did a Seed School in a Day seed training, and we certainly couldn’t return without wild rice and local cheese (which gets its unique qualities from cows eating local alfalfa). One cannot go to Greece without enjoying their local vlita greens, tomatoes, olives and wines—all from crops adapted from specially selected seeds that work for their terrain and circumstance. Imagine adapting what we grow here to stake a claim on the culinary attributes of our region (beans, peas, potatoes). It is incredibly exciting. How does one get started with seed saving? Start with something you love and that is easy to save. There are five crops that are the easiest and the ones that most seed libraries begin with. They are tomatoes (the “gateway drug to gardening” according to Mike McGrath, NPR radio host of You Bet Your Garden), peas, beans, peppers and lettuce. They are easy because they are self-pollinating, and you don’t have to worry about cross-pollination. We are lucky to have Wood River Seed Library in our community, which is a tremendous resource for seed saving and education. Our friend and RMSA co-founder, John Caccia, helped found the library and is the point person there, with a great group of dedicated volunteers. Seed libraries work similarly to book-lending libraries. You check seeds out and then once you learn to save them, check back in twice as much after the season. Bill has a great, inexpensive book he wrote in 1994 called Basic Seed Saving. It walks you through saving seeds from common vegetables and also includes wildflowers. It is available at Chapter One bookstore in Ketchum for $5.95. What are the plans for seed banking in the Wood River Valley? We were recruited by an anonymous donor to start the Rocky Mountain Seed Alliance. We all should be incredibly grateful that this person wanted a “Native Seeds/SEARCH” for the Rocky Mountains. This is a famous seed conservation organization in Tucson, Arizona, where we were former directors. As we looked at ways we could knit this alliance together, we first reviewed the seed saving and growing activities already in place. Then we set out to create programs to further identify and support existing seed efforts with education and technical assistance, such as our Seed Stewards program and Grain Trials project. You can learn more about all of these programs on RSMA’s website. We also recognized that seed banking (having a repository for a community’s collection of seeds) is as important as seed saving. In the past, seed banks weren’t necessary because everyone was saving seeds, and this diversity was dispersed amongst community members caring for them. Now, with the loss of so much seed diversity, it’s clear that we need safe storehouses to preserve them. We are working with Sawtooth Botanical Garden on finalizing an agreement to install a seed bank on its property. This facility was designed by a talented local architect, Dale Bates, and would basically be off-grid since it will be built into a natural hill. This will help keep it “cool, dark, and dry”—the mantra for long-term seed storage. It will be an educational hub for both the SBG and RMSA, as well as allow us to steward thousands of varieties of seed. We invite key stakeholders to participate in the development of this seed bank, and also to help with the continuation of the Rocky Mountain Seed Alliance as our initial three-year funding period winds down. It is astounding the work that has already been done and the opportunities that lay before us. We welcome your involvement! We met at a permaculture course in Arizona. When we met, it felt like we were almost playing out a script and it was about work and service around social and environmental change. Seeds were the conduit. Almost 12 years later, we are still enchanted with the work and each other! We are both life-long learners and interested in various “operating systems” that can help us re-contextualize problems. In permaculture, “the problem is the solution.” As a country, we haven’t been saving seeds. Our solution is to help educate millions of people. No small task, but thankfully this movement is gaining huge momentum and many people and institutions are moving it forward. The seed library movement gives us great hope that we can bring the ancient tradition of seed saving back into the commons. More than 500 seed libraries now exist in North America, and they are growing by the day. We just had the opportunity to meet with key seed library stakeholders in the midwest at Seed Savers Exchange Conference and Campout (the oldest seed conservation organization in the country). Up until this point, one person – Rebecca Newburn – singlehandedly has organized materials and data and helped shepherd in new libraries to a very informal network. Rebecca is a middle school science teacher in Northern Cal with a full-time job. We can’t say enough great things about Rebecca, but by her own admission, it is time to pass the baton. As an organization, Seed Savers is proposing to help formalize and support this burgeoning movement, which is very exciting.